As a mom, I'll admit that I love buying my children new shoes, especially my daughter, because the current styles are so cute and a girl can never have too many pair of shoes! Am I right? Zip open your mind to the newest and most unique item that I've seen in ages... Zipz Shoes! Have you heard of them? No? Don't worry because I just learned about them last year, right before Christmas! 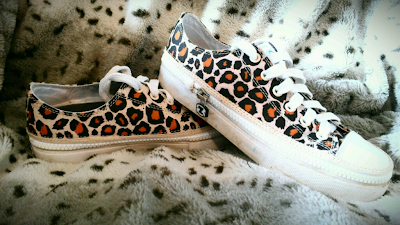 My daughter loved them so much, that when she outgrew hers she just had to have another pair! Every time my daughter wears her Zipz Shoes she gets so many questions and compliments. Her friends at school always want to see how they work, know where she got them, and ask to try them on! Lets face it, it's not very often that you see a zipper on a pair of shoes, so they are sure to draw attention. 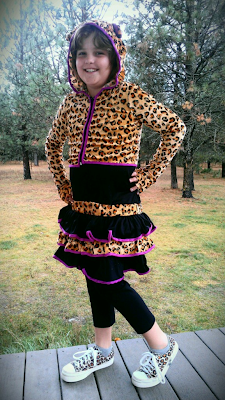 My daughter wore her new leopard lo-top Zipz Shoes with her Halloween costume this year... they were perfect! Her shoes made her look complete from head to toe! As I browse through their shoe selection, I'm always faced with a very difficult dilemma... which pair(s) should I choose? The colors and patterns are simply fantastic - cute, fashionable, and colorful! Flames, hearts, glitter, flowers, camo... hi-tops, lo-tops and slip-ons! Can I please just have one of each? There are numerous different collections, styles, patterns, colors, and materials to choose from allowing you to make a personal fashion statement every day of the week. 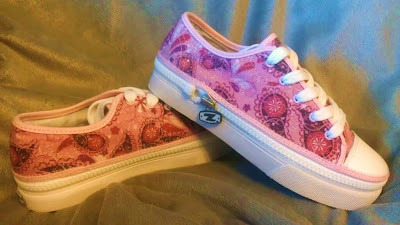 Whether its fashion, function, or fun... Zipz shoes have you covered. Zipz Shoes are unique, stylish, original, and give you the ability to change your shoes like you change your mind... the possibilities are endless. Don’t just sit there, join the shoevolution and get your ZIPZ® on! 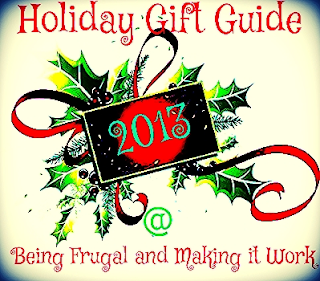 Disclaimer: The Being Frugal and Making it Work family received a complimentary pair of Zipz Shoes for the purpose of writing a review and hosting a giveaway. Regardless, I only recommend products or services I would use personally and/or believe will be a good fit for my readers. The views and opinions expressed on this blog are based purely by our own experiences. No monetary compensation was received. Results may vary. I like the Zipz Shoes youth lo tops. I would choose the red flames for my son. I know he would love them. I would love to get the Lo-Top pair of Americana shoes for my husband. I know he'd be ecstatic! My husband would love to have the Hi-Top pair of Army Camo Covers. My husband has camo, and he doesn't have a pair of camo shoes! I just checked out the website and these shoes would be perfect for my creative and artist daughter. She loves all the different styles but chose the Slip-On pair of Super Model shoes as her favorite so those are what I would want. I'd like the Lo-Top pair of Dragon Rose Zipz shoes for myself. Thanks. I'd get the Cranberry Lo Tops for my best friend. My daughter would love the slip on skull Rose shoes, they are so cute and unique!! I like the Grafeeti Slip On shoes, as would my stepson. He would be the lucky recipient. I would love to give the Slip-On pair of Whiteout shoes in size 9 to my neice, she is sooooo deserving of these shoes! Thanks for the great giveaway! I like the Lo Tops in Leopard & they'll go to daughter KARA for her BDay !!! !